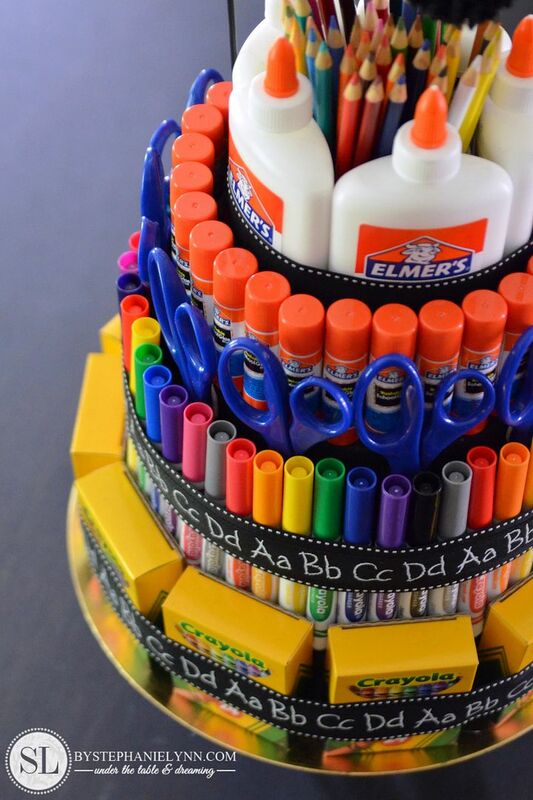 Back to School Supply Cake – #create2educate art supply tower | We have been getting pretty excited about the new school year around here. My little guy and I have been doing some major back to school planning and shopping this past week. 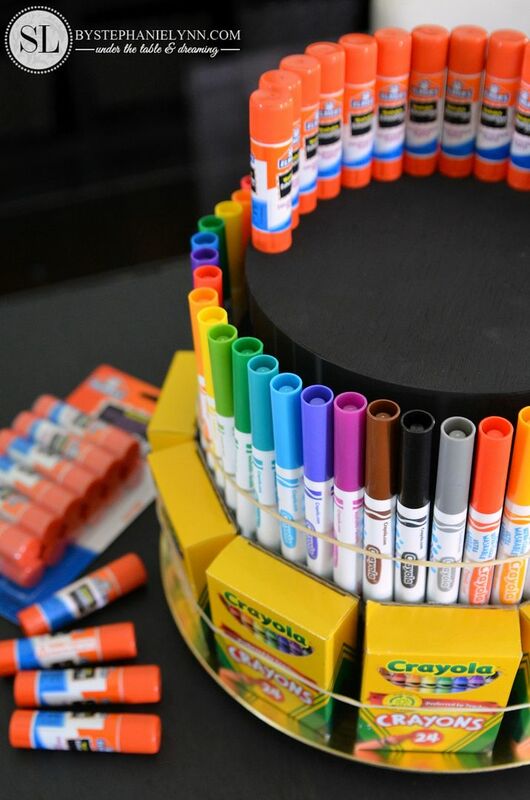 While re-stocking some of our own school supplies we thought it would be fun to create a supply cake for our local human services therapeutic day program. The special needs organization has help us out in the past so being able to give a little back to their art program feels good this time of year. 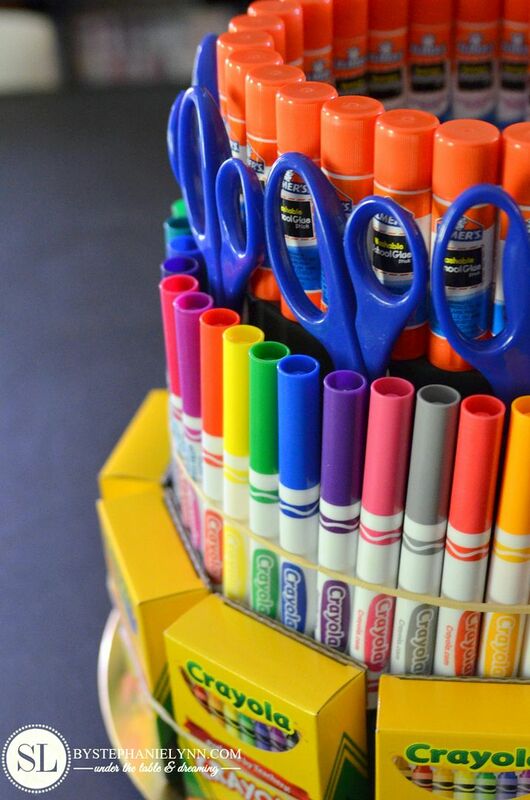 Almost of the supplies used for our tower are ‘teacher favorites’ and found on many standard back-to-school lists. 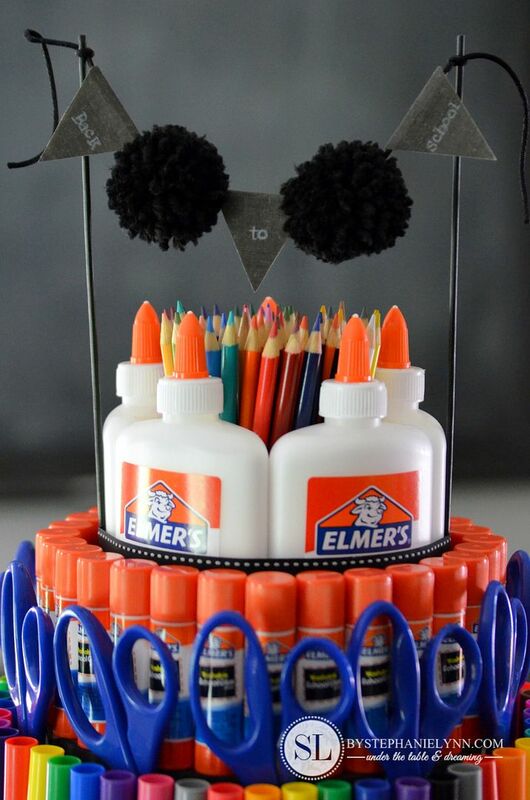 I’ve listed the exact amounts needed to make this Back to School Supply cake below – however any thing can be substituted out to fit the child/grade/school needs. 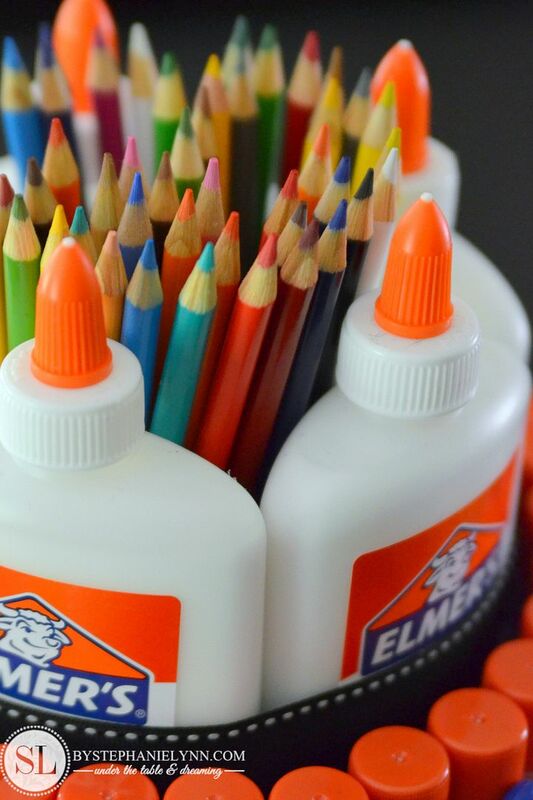 5 Bottles of Elmer’s® Washable School Glue, 7.61oz. Step One: Paint and stack the boxes. 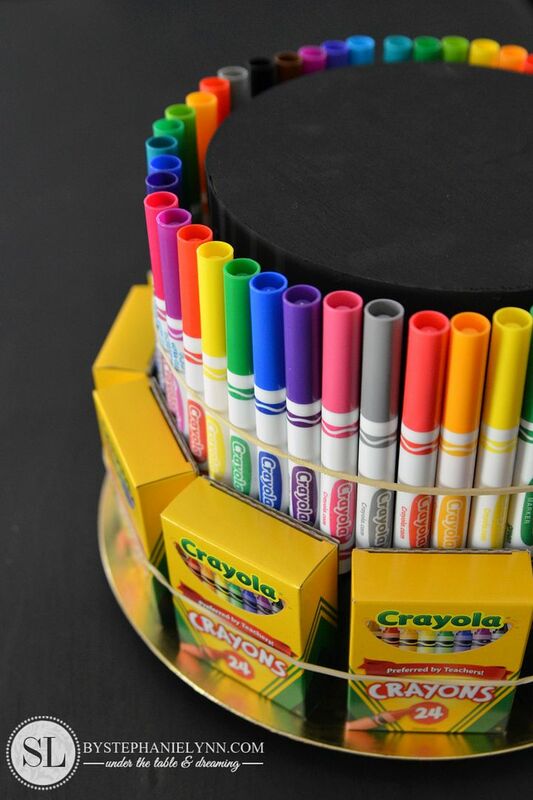 For this Back to School Supply Cake the 6, 8 and 10 inch round boxes are used. 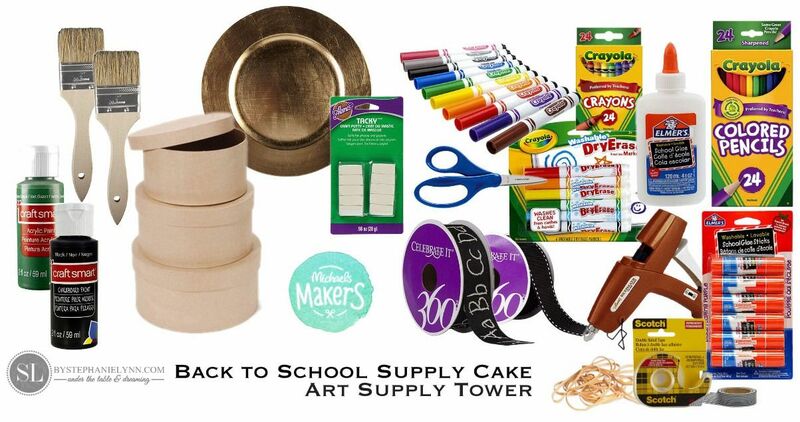 Place a little bit of tacky craft putty between the boxes to give the tower stability. The putty is reposition-able and easily removable as well. Step Two: Working from the bottom layer up, begin stacking the school supplies. 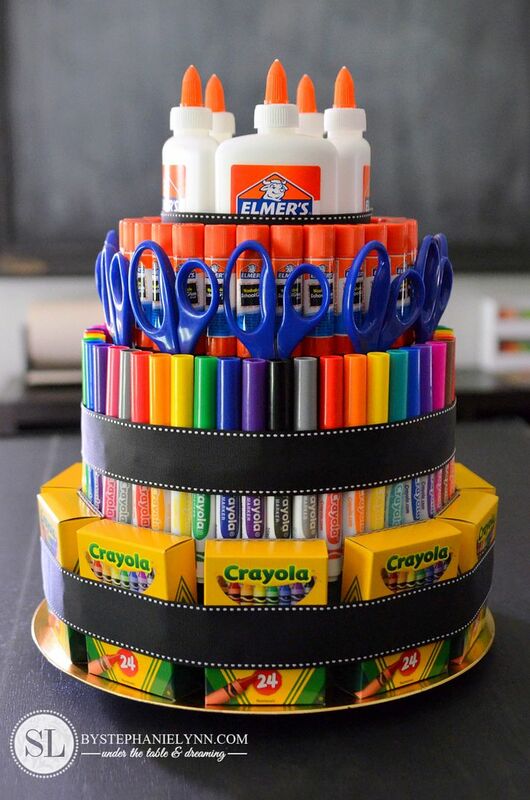 Crayons are used for the bottom layer. For a sleeker look tape the top tab of the box down, as shown above. 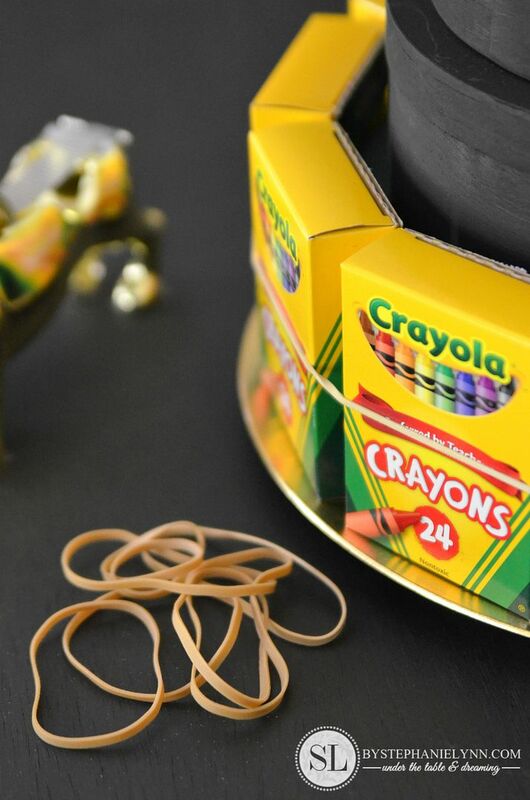 Once the boxes are in position, stretch a rubber band around them to hold them in place. 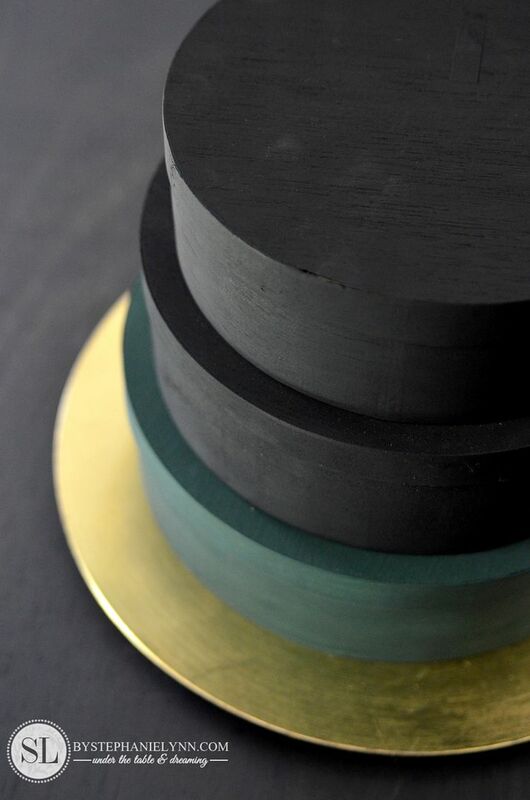 Markers are used for the next layer. 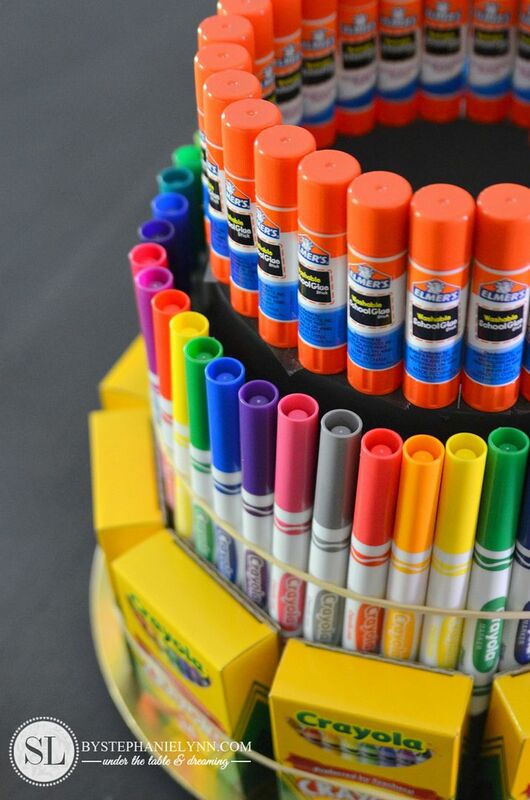 A mix of regular, washable, and dry erase markers were used for this tower. 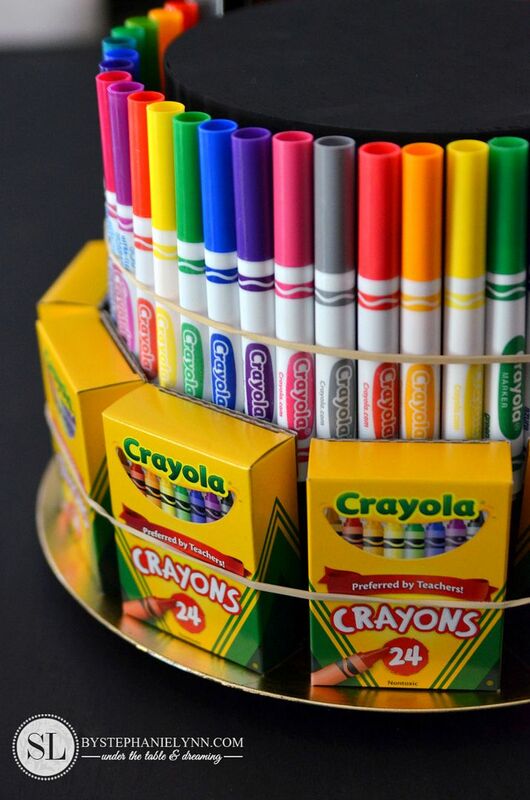 Once the markers are stacked, use another rubber band to hold them in place. 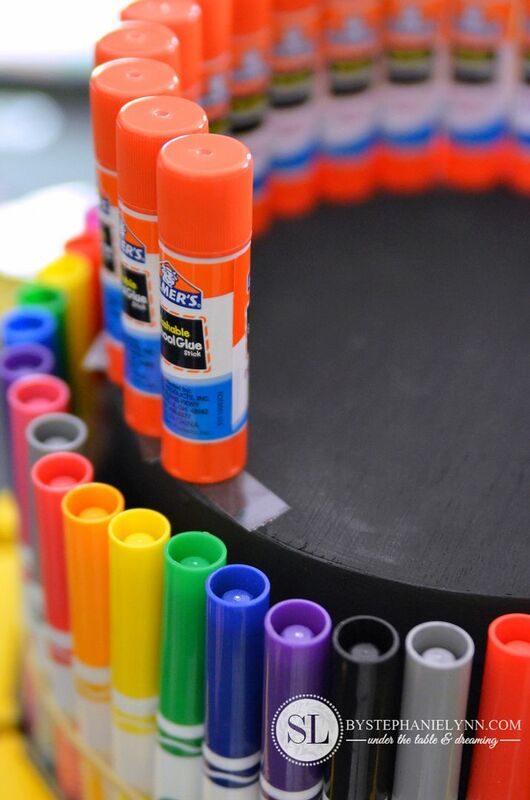 Glue sticks are then used to line the rim of the top box. To hold the glue sticks in place and give them some stability double sided tape is used, as shown above. The bottom of the glue sticks are hollow however, the tape holds them place well enough to move the tower around without having them fall over. 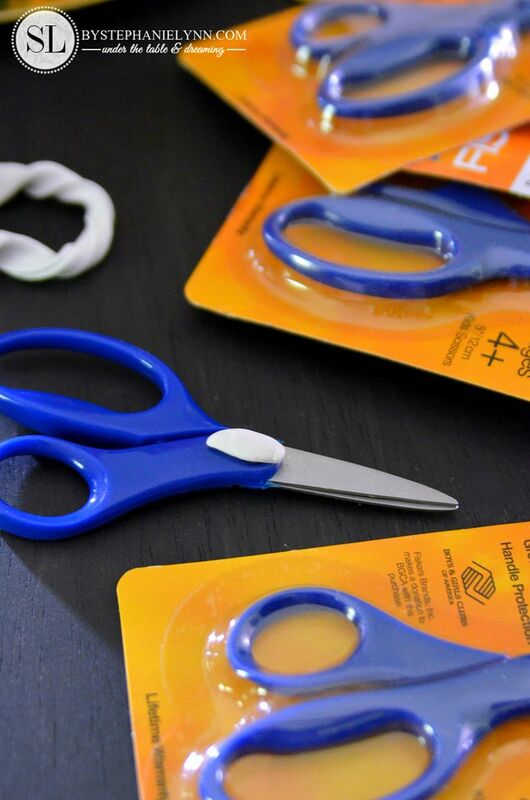 Kid friendly scissors are then tucked behind the row of markers. 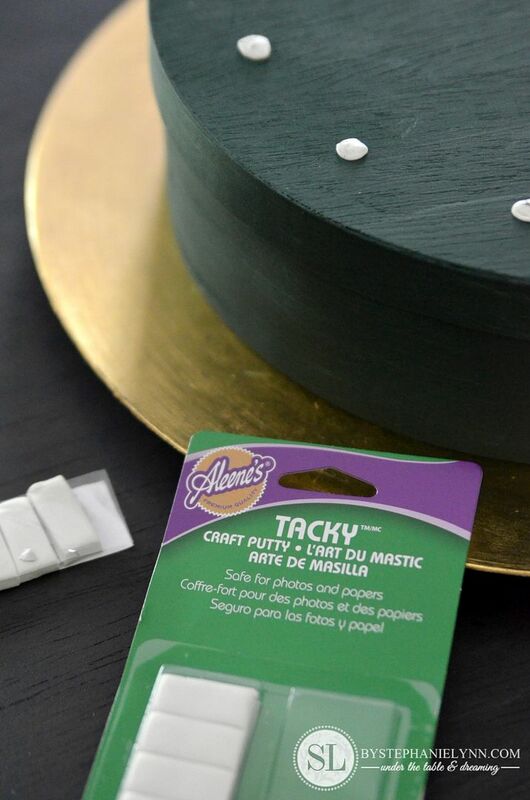 Tacky putty is used to hold them in place, as shown above and below. 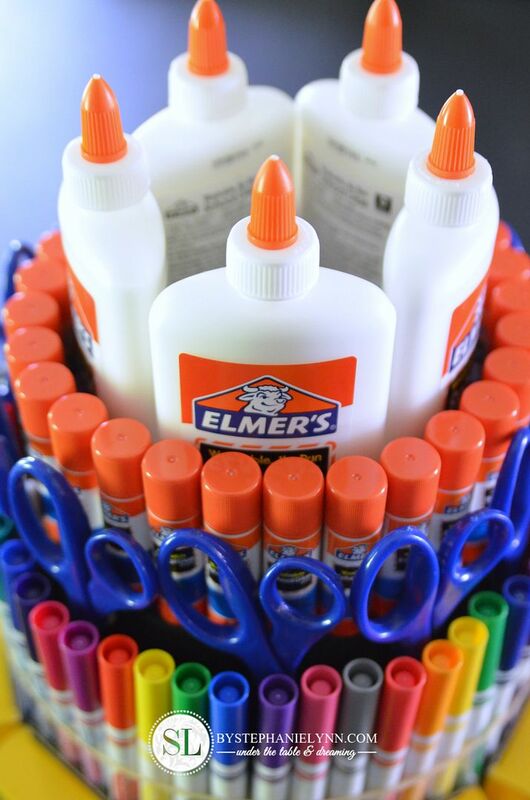 Lastly, place five bottles of school glue to the top. Again, use a little bit of the tacky putty on the bottom of each bottle to hold them in place. 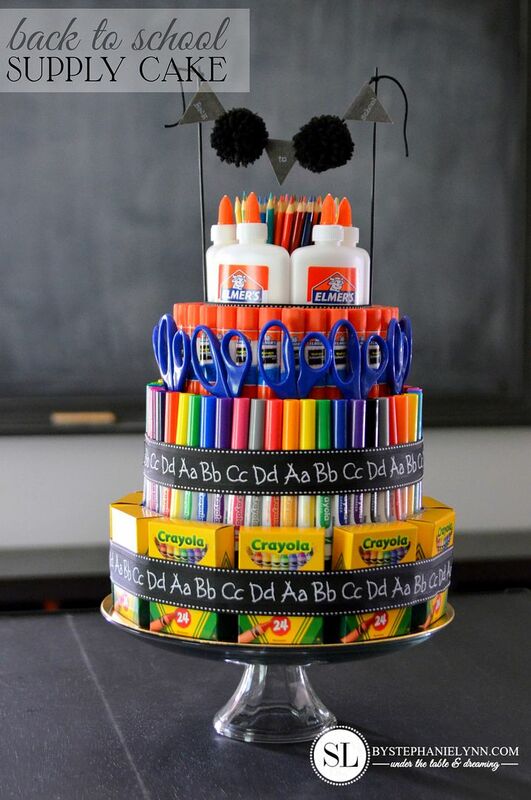 Step Three: Embellish the tower with ribbon. 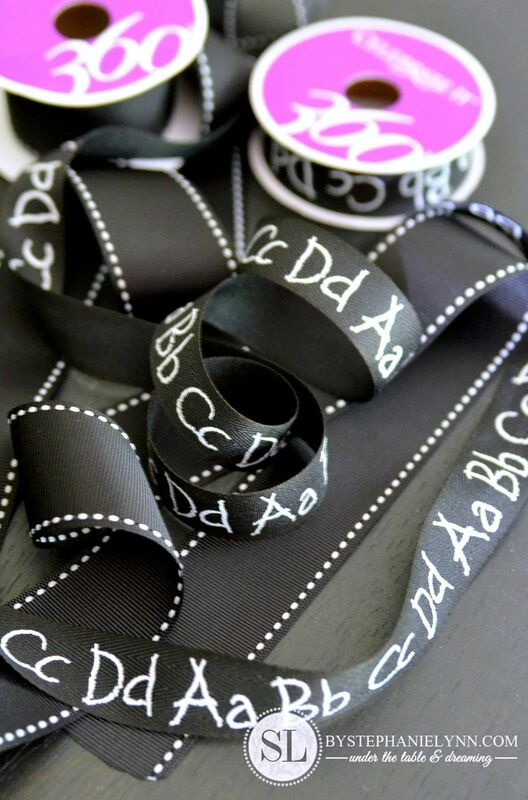 Grosgrain and alphabet twill were used for this tower. Hot glue holds the ribbon in place – A little dab is all that is needed – one to attach the beginning of the ribbon and one to secure the end. Step Four: Add the Topper. 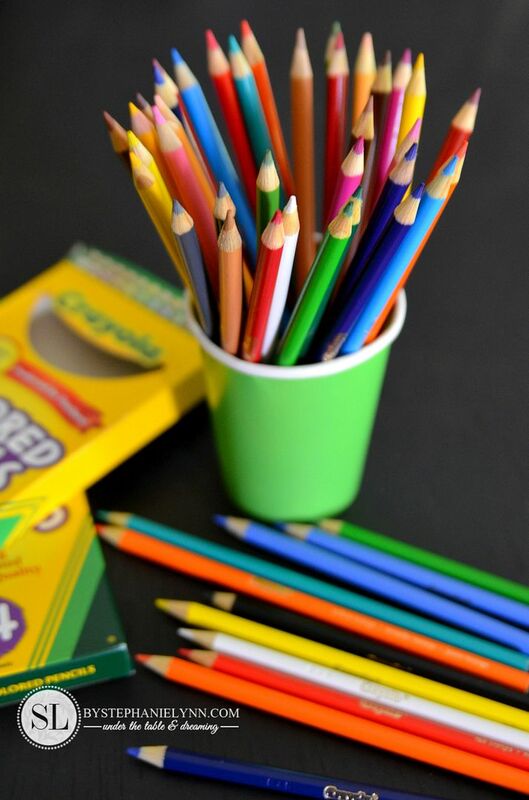 Colored pencils were used to fill in the space between the bottles of glue. 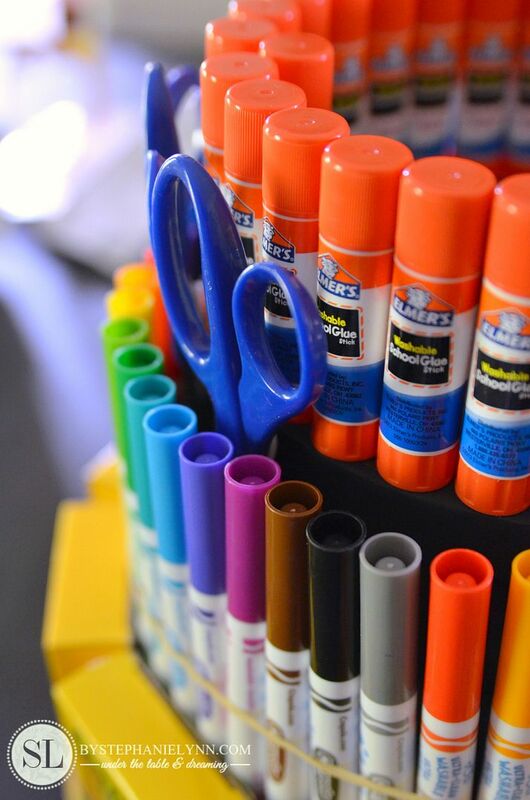 To keep them together, place them in a paper cup and tuck the cup down in between the glue bottles, as shown below. The topper for this tower was made similar to the topper used on the Dum Dum Lollipop Cake. 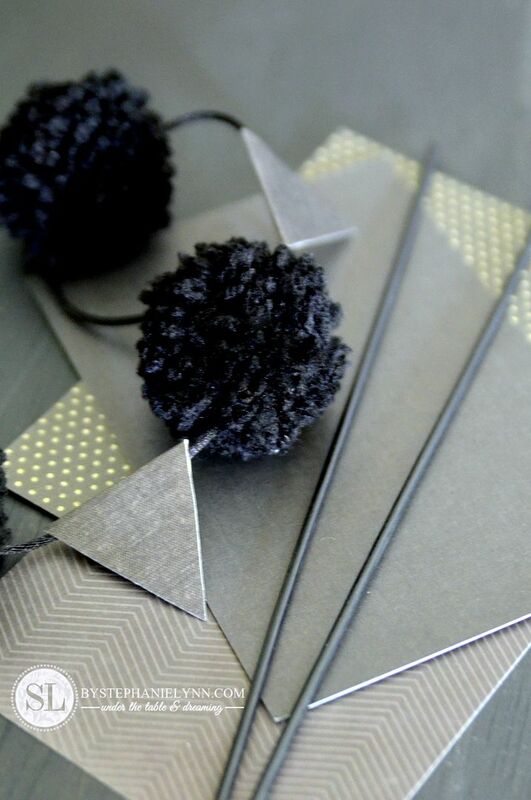 It’s requires just a few simple supplies: two homemade pompoms, scrapbook paper pendants and two wooden skewers. The yarn pom poms were made using the same technique as the Yarn Ball Pom Pom Garland I made a couple years ago and the pennants are simply double triangles cut from decorative scrapbook paper. Both are strung on a piece of black satin roping and tied to two wooden skewers that were spray painted black. All of the supplies can be easily removed and the storage boxes used for the base can be re-used as well. Are you ready and excited for this school year to begin? 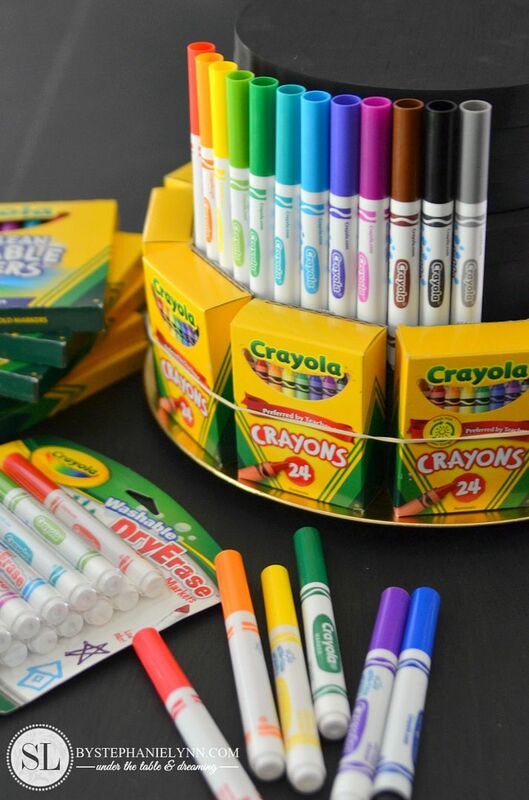 Create your own Back to School project for a chance to win with Michaels #create2educate! #Create2Educate is a sweepstakes to keep you inspired all year long! 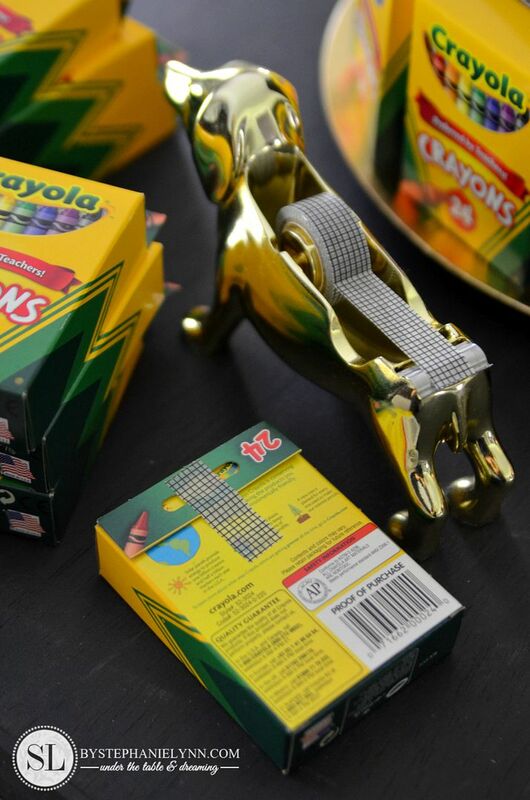 Just create an original back-to-school project and upload a picture of it to Instagram. 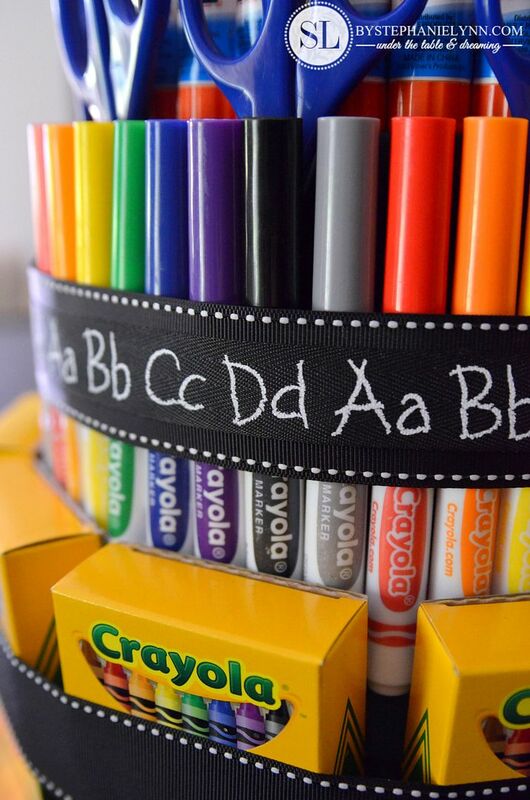 Don’t forget to tag #Create2Educate and #sweepstakes and while you’re at it, tag @MichaelsStores too! The contest runs Friday, August 1 through Friday, August 15 and a random winner will be selected daily and receive a $50 gift card to Michaels . Plus all entries will be shared on Michaels.com! 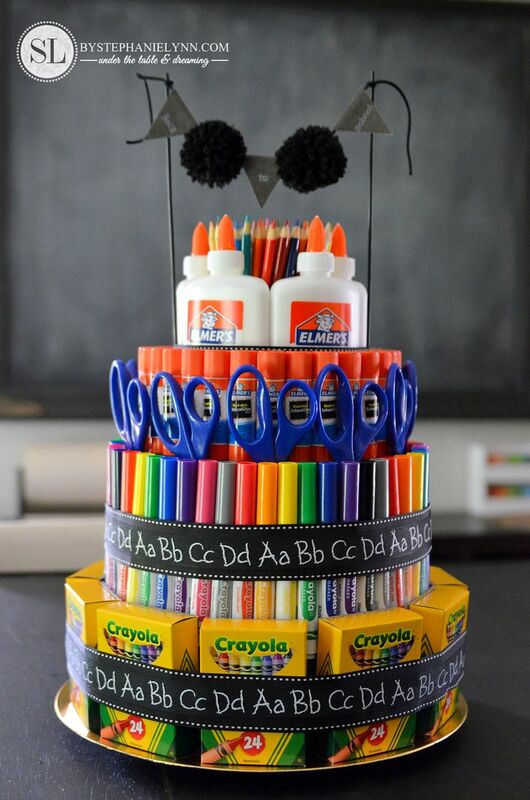 For more details, rules and regulations visit Michaels #create2educate. This is so beautiful! 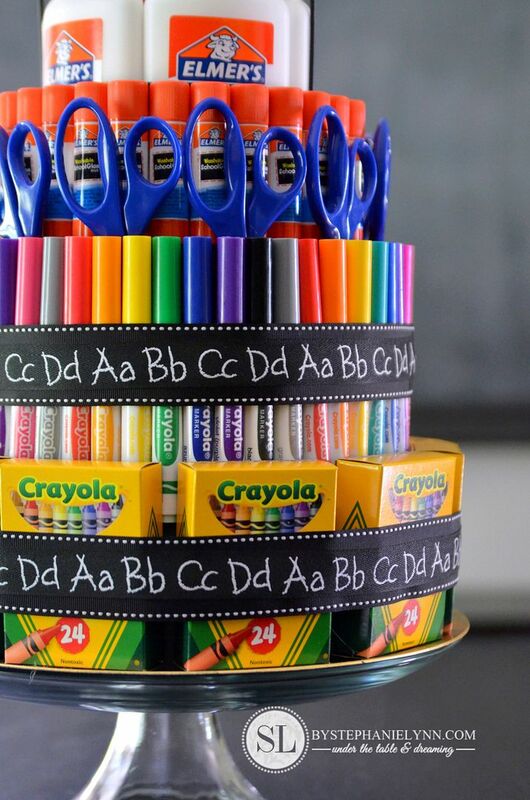 Perfect gift for back to school! I love it! What a wonderful idea! You’ll have them creating in no time! 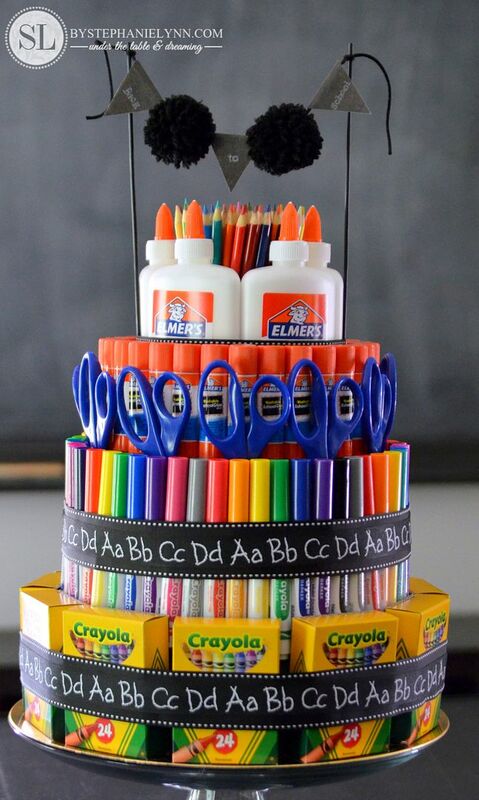 Love this , it will make a nice display for our next Back to School party.